In Russia, the snowy winter often lasts from November-end to the beginning of April. 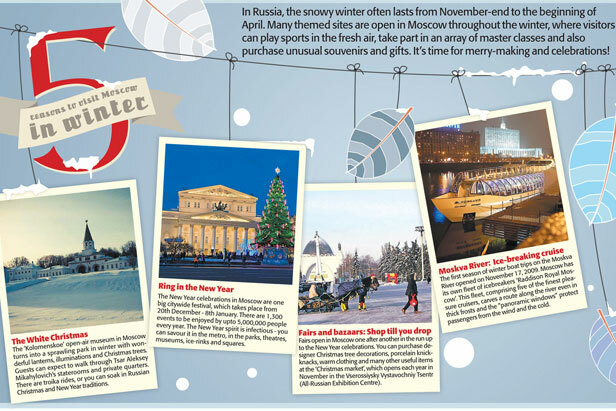 Many themed sites are open in Moscow throughout the winter, where visitors can play sports in the fresh air, take part in an array of master classes and also purchase unusual souvenirs and gifts. It’s time for merry-making and celebrations!